Extra-small – for displays <768 pixels wide. Small – for displays between 768 and 992 pixels wide. Medium – for displays between 992 and 1200 pixels wide. Large – for displays >=1200 pixels wide. As you define your page layout, you can customize the grid for each size of display. I will work with a small screen. Each row is defined by a <div> with the row class attribute. to create two equal-sized columns on the tablet (Figure 2). Medium and large screens will use this layout as well. If someone views the page on a smartphone, though, the two columns will stack vertically (Figure 3). If you want to preserve the layout even on tiny screens, you can add an extra-small class attribute as well. Figure 2: The two-column layout defined for a small (tablet-sized screen). Note how the columns are maintained. Figure 3: On the smartphone, the layout switches to a vertical presentation so all content is displayed, although not in the column layout specified. By adding col-xs-4 and col-xs-8, extra small screens also display two columns (Figure 4); in this case, however, the left column will be slightly smaller, emphasizing the right column (perhaps to make text more legible on such a small screen). Because the iPad is a small display instead of extra-small, it uses the equally spaced columns as before. Figure 4: Once you define a column layout for extra small displays, the smartphone follows it. Bootstrap's screen size selectors allow you to customize your page across multiple device types with minimal effort. This feature alone allows you to emphasize the most important elements first and then show supplemental information as larger displays allow. 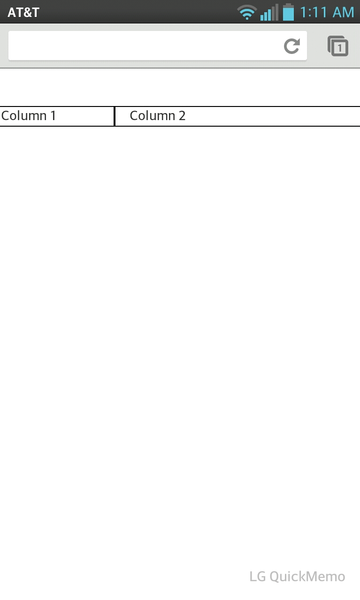 To offset columns, leave a blank space where a column would be and add an offset class, still referencing the screen size that you're defining (Listing 2). Doing so moves the column two slots to the right and creates a div occupying three grid slots (Figure 5). 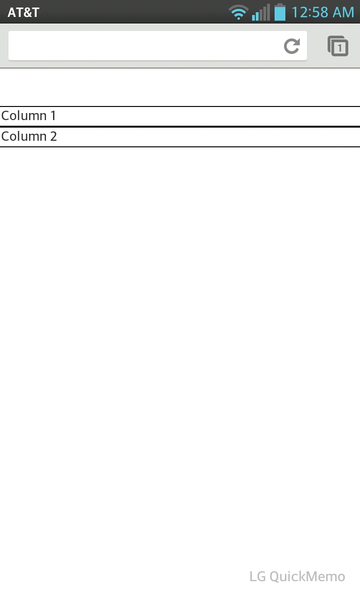 Figure 5: An offset column added to the layout. Depending on your page layout, it might make sense to exclude some content completely on smaller screens or to include it only on larger displays. Bootstrap provides the visible and hidden utility classes to include or exclude content specifically for each screen size. Although this approach only works for a block element and entire tables, it can still be quite useful. Line 1 of Listing 3 will show up only on extra small screens, whereas line 2 will show up only on the largest of displays. Figure 6: An H1 heading, a lead paragraph, and a standard paragraph. Note the differences in font size as well as in the leading applied to each element. The label and badge styles call attention to selected text and display a small amount of supplemental information. Labels have rounded corners and can use color classes (Listing 4, lines 1-4; Figure 7), whereas badges are more oval in shape and have a grey background (Listing 4, lines 6-9; Figure 8). See Table 1 for the Bootstrap color naming convention. Figure 7: Bootstrap labels are used to show payment status. The colored background shows status at a glance. Abbildung 8: The badge class showing the number of shirts ordered stands out nicely. 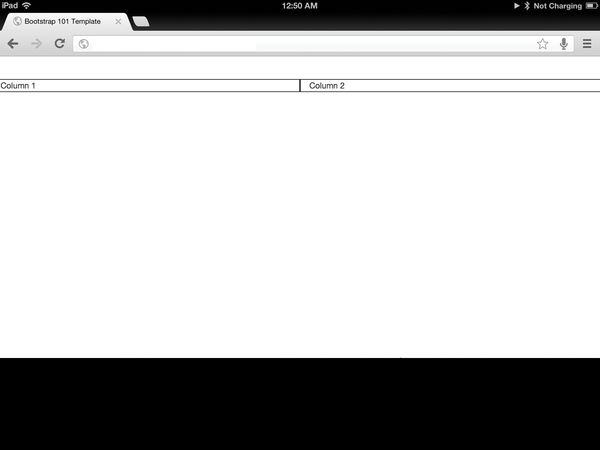 Bootstrap provides formatting for tables as well. Classes alternate background colors, add borders, create a mouseover effect, or highlight rows on the basis of status. To get the selected color, add the class attributes listed in Table 1 to your element. As an example, I'll combine all of the shirt information in Figures 7 and 8 into a table that also includes pickup status (Listing 5; Figure 9). Figure 9: All of the shirt information combined into a single table. The bottom row is highlighted red because the mouse is hovering over it (the mouse pointer does not show in this screenshot). Progress bars are a quick and easy way to give visual feedback of process completion. Bootstrap uses CSS animations to change the size of the bar as values are updated. Additionally, progress bar classes allow you to select a striped or an animated striped bar (Listing 6; Figure 10). Figure 10: A progress bar (courtesy of www.getbootstrap.com).